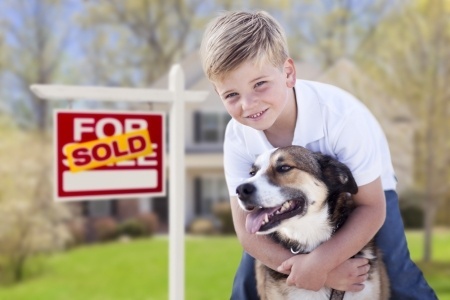 If you’re a Louisville area homeowner, it’s not time to panic… yet ! But you need to be aware of a potentially disturbing trend. The latest Greater Louisville Association of Realtors' number of homes closing and marked sold in the Louisville area was down 12.1 in July 2014 compared homes to the same month the year before. This is not the first time the number of closings were fewer than the year before, but the margin was larger in July than in the past number of months. The question is why, and the answer is in part the same reasons we outlined last month. Appraisals have been coming in lower, mortgage companies have tightened requirements for home loans and home inspectors were observing more delayed maintenance problems with homes. That combination of factors slowed down closings throughout our area. But now we may be seeing other factors playing into the slow down. Ironically the slowdown comes as home mortgage interest rates continue to hover in the low 4% range. There were many analysts who had predicted we would be at the 5% interest rate by now especially since the jobless rate has gone down. 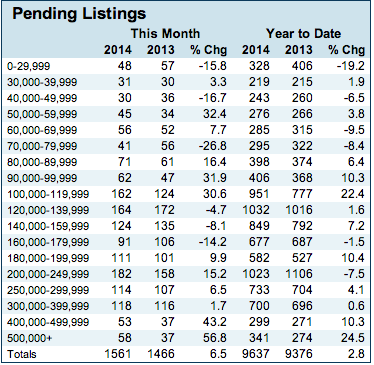 Strangely enough that may be a factor in slowing home sales down this year . You may remember last year at this time increase rates were below 4% hovering between 3% and 3.50%. There is some speculation buyers are sitting on the fence hoping that interest rates return to those levels before they purchase a home . But If you're a buyer, you need to know the chances of that happening are very slim because the economy is continuing to slowly recover. In fact the jobless rate numbers released today have analysts predicting interest rates will hit 5% or above by the middle of next year, maybe even sooner. Strangely enough it's very possible that if interest rates spike up a quarter to half percent now it may force buyers to jump off the fence sooner than later in an attempt to beat even higher interest rates. There was some positive news coming out of the July 2014 statistics. For example the average days on market for a home priced correctly has dropped from 97 days in July 2013 to just 89 days last month. That’s due in part to fewer homes being on the market. The new statistics released this morning show the number of active listings in July (compared to a year before) was down 11.7%. The number of new homes coming onto the market in July 2014 was down 13.9% when compared to July 2013. Those factors make up what’s called the absorption rate. In short, the absorption rate looks at the number of buyers in the market at any given time and divides that number into the active homes on the market. Too many homes on the market at one time and you have a buyers market (that’s generally considered an absorption rate of 7% or above). Too few homes on the market and its a sellers market (that’s generally considered an absorption rate of 5% or less) July’s absorption rate dropped from 7.02% in July 2013 down to 5.83% last month. That’s a decrease of 16.95% and in real estate terms Louisville is now considered to be in a balanced market. Other factors for a slowdown in home sales and homes going under contract may center on the unrest in other parts of the world. Headlines that include the shooting down of a Malaysian jetliner, attack on Israel and the economic uncertainties in some foreign governments do nothing to boost confidence in world affairs. Though outside our borders, the tragedies draw our attention away from our local, potential goals while adding to our concerns over world events and if / how they may eventually impact us here in Louisville.